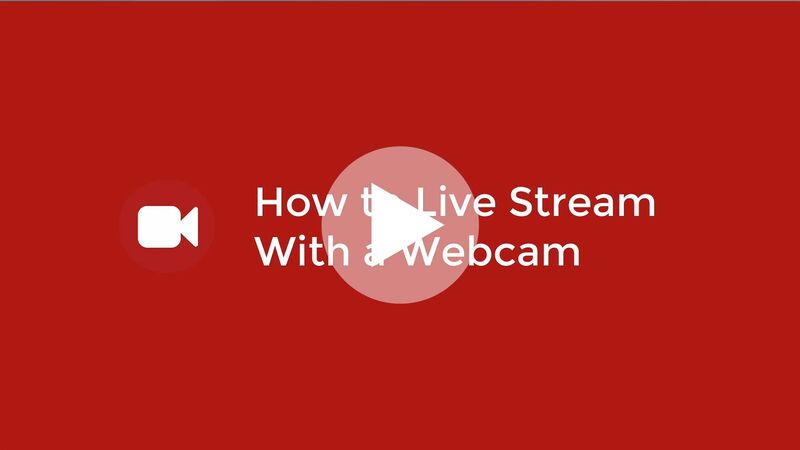 The easiest way is to Live Stream is to simply use a Webcam that is connected to your computer and open your 🎥 Live Studio in your Streaming Video Provider account. Here you will be able to choose the Webcam as your source. This will allow you to stream your webcam without any additional software. If you want to check out some demos and and extra information please visit our Playlist Players Information page. Connect your webcam to your computer. Accept Flash notification to allow flash to stream your Webcam. Click on Start Broadcast to start your Live Webcam broadcast. When finished simply click on the Stop Broadcast button. You can change the settings of your Webcam Live stream whilst broadcasting without having to restart the broadcast. This is great if you need to make any quick adjustments. 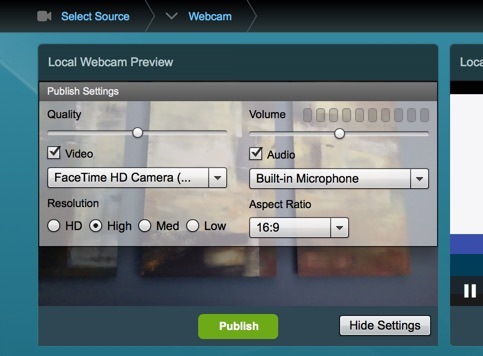 To change settings simply click on the Show Settings button located in the Local Webcam Preview of the 🎥 Live Studio. When you have finished with the setting, simply click on the Hide Settings button.